"The drum recording and mixing tutorial I wish existed when I was starting out..."
With REthink Drums, we take the complicated and make it simple. 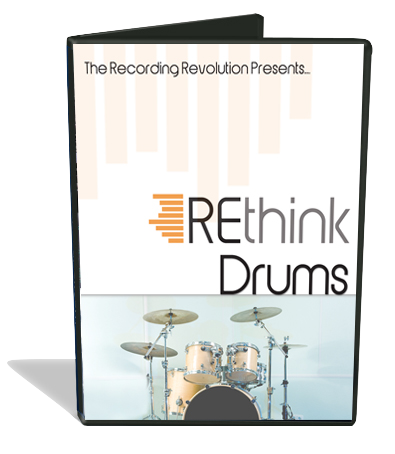 Just finished REthink Drums and it is brilliant. Extremely in depth. I’m so glad you covered all the different mic setups. The EQ section was one of your best. I feel closer to really understanding how to effectively EQ. I now feel more confident with my drum tracks! Your YouTube videos helped me so much, but the REthink Drums videos were even more in depth. I would buy all your tutorials in a heartbeat if I had the cash! Thank you very much for all your hard work. No tutorials have improved my tracks as fast as yours…and I’ve watched a ton! Really appreciated. "For less than the cost of two mic stands you could improve your drum recordings and mixes right now with the gear you already have!" If you are not completely impressed with REthink Drums, let us know within the first 60 days and we'll give you all your money back. If you're not happy, you don't pay. Signing up for REthink Drums is quick... Within minutes you'll see how easy it is to mic up drums in your home studio with 1, 2, or 20 mics - and then mix them to perfection. With the 60-day no risk money back guarantee, it is a no-brainer. Sign up now!